Toughest of roads lead to beautiful places. This is what I have realized after traveling a lot through the Himalayas. Those breathtaking view of snow-clad mountains reflecting the mesmerizing beauty of mother nature does not come easy. The rugged passes leading to picturesque valleys, the narrowest of paths giving a scare of the life are few of the challenges faced by an explorer in the higher reaches of Himalayas. But those struggles faced amidst the journey are worth it in the end as the destination has a lot to offer. Similarly, Civil services Journey is a rigorous one, physically and emotionally draining in the process given the complexity & vastness of the UPSC syllabus and the nature of competition. It is going to pose tremendous challenges to each aspirant, many collapses but few conquers them thus emerging victorious in this battle of talent, endurance, and perseverance. And, nothing seems sweeter than the victory which comes with sweat and blood. Believe me, the journey is not easy but that is the beauty of this examination. You will appreciate that once you taste success in this IAS exam. The success brings a sense of satisfaction, achievement, and glory to the family & individual. The real-life journey only begins from there on towards contribution to nation building. So, all the problems faced during IAS exam preparation are worth it as they make you a better person, helps you devise your own strategy, teaches you to develop a problem-solving attitude and eventually, makes you traverse your own journey to success. So, here I would like to discuss several common issues faced by aspirants and how they can be overcome. As you take the plunge into the ocean called civil services exam, you realize the vastness of the UPSC syllabus tempts you to read each and everything under the sun. But that is the trap majority of the IAS aspirants are caught into. This exam is not about reading everything that comes before you but you must restrict yourself when it comes to IAS study material. 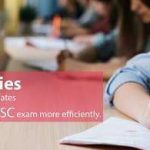 For that very purpose, the syllabus is provided by UPSC which should be taken very seriously by aspirants for planning their study schedule and collection of study materials. If you travel through the lanes of Old Rajinder Nagar, Karol Bagh and Mukherjee Nagar in Delhi, you may be lost in the sea of IAS study materials. You may end up buying more than what you can finish it off. Multiple materials are available for every single topic in the UPSC syllabus. If u start reading a big thick note or book for every topic of the syllabus, then it may take anything around 3-4 years and by that time, the previous current notes would not be relevant anymore. So, please don’t fall prey to the plethora of materials in the market. You have to be selective and smart with your choice of content sources. Try to restrict to the minimum number of IAS exam books so that revising is humanly possible during the exam period. Without good revision, the whole purpose of reading so much gets defeated. So please be informed that you have to read what is relevant and to the extent that it serves the purpose, and do justice to the UPSC exam syllabus. Don’t try to eat more than what you can chew and the same applies with study materials for civil services. Once you can manage this issue, your journey will become easier from hereon. Related Article:- Which books for IAS Exam Preparation and How to Study for IAS? The entire IAS coaching in Delhi or elsewhere thrives on the fear generated among the aspirants of the Civil Services exam. There is a rampant fear prevalent in the market among the aspirants related to the toughness of the IAS exam. The same fear drives thousands to the doorsteps of the IAS coaching institute. I do not altogether deny the relevance of the coaching per se but there are plenty of myths spread by the people with vested interests. One of them being “You can’t crack this examination without coaching” is a blatant lie. You can clear this exam without any IAS coaching if you have the right guidance for preparation. Hundreds are clearing every year with self-preparation from across the country but they knew how to go about it. Still, if you feel you need the help of an IAS coaching in Delhi, go for it. Nothing to worry about, what matters is you prepare well in the right direction. You should understand your strengths & weaknesses and accordingly take your decisions. Withstanding Pressure: Perform or Perish? Civil Services journey cannot be complete without learning the art of tackling pressure and stress. As you start preparing, you will start feeling the heat generated by all sorts of people, family, peer group, college friends, neighbors etc. The pressure to perform at the earliest is what family expect us to do, but it seems easier said than done. Friends may extract sadistic pleasure out of the unsuccessful journey so far in this IAS exam. The taunts by neighbors neither do any good to the self-confidence of the aspirant. So, there are enough people to bring you down in life but very few to push you up. Avoid the negative people who create an aura of hopelessness around you. Be surrounded by people who spread positivity, believe in the power of hope & possibility and inspire others to be successful. You should be in a good sense of mind to do well in this exam. That would bring enhanced efficiency, effectiveness, and smartness in the preparation strategy. And don’t surrender yourself to the pressure of managing several affairs in life. It’s not easy to prepare for the IAS exam while having a job or being married as both bring added responsibilities. But it’s possible. If you learn the art of managing pressures then can strike a fine balance between different priorities in life. If you get driven by your passion & priorities in life rather by what people have to say then you will do what matters irrespective of anything else. This will take you far in the journey of life rather just civil services. Related Article:- How Many Hours of Study is Required For IAS Exam Preparation? This is one of its kind of an exam where the probability of failure outnumbers that of success by a huge difference. Failure despite being an unwanted event has the most probable likelihood in this journey. The more you interact with IAS aspirants, the more you will get to know about failures. Because failure is the most visible reality in the civil services exam arena. So, before you decide to take the plunge into the pool of preparation, be mentally prepared to face failures because they will come your way. Hardly, you will come across any successful candidate journey without an instance of failure. So, don’t be scared of failing once started preparation. The sooner you remove the fear of failure, the faster you will be moving towards success. Sometimes failure may come unexpectedly, you may miss prelims merit by a whisker, say 0.5 marks (I missed once by 0.8 marks) but you must not be bogged down by this. You must develop the resilience to come back stronger next time with greater efforts. Falling in life is not the problem, not getting up soon to try again is the real problem. This IAS exam expects you to have high perseverance as things would not always go your way but you should not lose hope and be persistent with the efforts. Sooner or later, the one who doesn’t give up tastes success. Hence you must always believe in the words “Failure is the stepping stone to success” and apply it in the preparation phase to inject yourself with self-confidence and motivation to keep going. Civil services due to its glorious history and broader platform continue to attract aspirants from all walks of life. There are numerous who realize the purpose of preparing for the IAS exam. But there are many who not just fail to do that but are mostly driven by the fanciful imaginations. No doubt, it provides a good platform and a respectful career but gone are the days of colonial times. Many aspirants are in the habit of dreaming about the life post clearing the exam. They are preoccupied with those fanciful imaginations and daydreaming. I agree life will definitely change for sure. But you are not going to live a king size life. Better stop expecting too much before you have cleared the exam. Please don’t waste your precious time thinking and discussing life post clearing the IAS exam. The only thing matters now are how you can improve your preparation every day. The civil services exam preparation demands unrelenting determination and efforts from aspirants. It is not going to be a smooth journey. There are times when you don’t feel like studying at all. Change of mood is quite a common phenomenon during preparation. But you should not overreact to it. The best thing is to take a break from the IAS study schedule. You should not be too harsh with yourself. When you are losing the concentration, it does not make sense to be sitting on the chair. Just studying for sake of it does not help. It has to be productive and efficient. So better do things which keep you feel rejuvenated. You may spend some time alone to find out what is troubling you. If you can find it out then move ahead. If not, then leave it behind, close your eyes, take a deep breath and tell your brain to let it go. The brain is evil. All type of thoughts come to us. You have to train the brain you want it to behave. Mostly mood swings are due to over thinking about trivial issues. Don’t be preoccupied with matters which are not in your control. The more you let such things go, the more you can tame your brain. You should do some physical exercises on a regular basis. That will enhance your productivity while studying and you can get better sleep. You can only reduce the mood swings during UPSC preparation but cannot eliminate them entirely. But slowly you will appreciate it to be an essential part of the preparation journey. During UPSC exam preparation you have to be motivated and focused towards your goal all the times. Once you start losing the focus then it affects your efficiency and productivity. And it is very natural to lose the focus due to the plethora of distractions all around. you should always keep asking it to yourself “Why did you start preparing for Civil services”? You must have been inspired by some real-life events or any such encounter which pushed you to prepare for this exam. It is not just any other exam to be prepared. One has to have a broader perspective based reason to prepare for it. I decided to prepare for this exam because once I saw District Collector at my place listening to people grievances and resolving them at the spot. I was one of them getting my problem resolved. That touched me deeply and had an impact on me. I felt that this platform gives a wonderful opportunity to touch people life, solve their problems and make an impact at the grass root level. That event inspired me. You must find your purpose for IAS preparation. Once you find that, I can assure you don’t need any other external motivation to keep you going. Every time, you feel like losing focus, just remind yourself why you started the preparation. Is that purpose worth making all the efforts? Can you afford to lose your focus given the bigger picture you dream of with IAS? I am sure, if you keep repeating it within, you will never lose your way while preparation. If deviating, will get back to right path. You must seek that inner motivation, rather external motivation which lasts for a shorter duration. Once you can motivate yourself, you can face all difficult situations with ease taking yourself forward. Internal motivation is the real one, don’t fall for external ones. If you can learn the art of self-motivation, you can do wonders in life. Not all are privileged to be born with a silver spoon. They have to make their own way to prosperity and success in life. But this journey is quite an enriching one. There are challenges at each step but they are worth it. So, if you are the one not having the luxury of financial security to prepare for this exam, don’t lose heart. More than half the successful candidates come from modest backgrounds. They did not have any financial security in life too, but they made it possible with their sheer determination and efforts. You can do it well. Don’t think too much about what may go wrong in this exam. Think about what may go right. At worst you will fail in the IAS exam. That is not the end of life. That would be just another beginning in life. I tell aspirants that you must shed this fear of failure first to move ahead. Believe me, after the preparation you will feel like a transformed person in terms of knowledge, skills, confidence, and personality. So, don’t be worried about livelihood, you will get plenty of them even if you don’t make it to the civil services. Just give your best, try for at least two attempts and you can definitely make it to merit list. Financial struggles have been an inherent part of my life but I never surrendered to it. I made the best of the opportunities that came my way. Despite education loans mounting high, I skipped placement after Engineering because I was passionate about civil services. I ignored the all problems for a while and did what I could do to my best. I made it to merit list the in second attempt. So, I can assure you with a sense of Conviction that problems are an integral part of our life. The more you can live with them doing your best possible, the higher you shall rise in life. And nothing beats the taste of success coming from a humble background without having the financial and social security in life. The IAS aspirants are in a state of dilemma whether they should have a social life or be completely isolated from the society. Because there have been a prevalent norm among civil services aspirants to be as isolated as possible to inject maximum efficiency in preparation. I would like to dismantle this myth. Gone are the days when civil services preparation used to demand 12-14 hours of preparation. In present times 7-8 hours of quality preparation can lead you to desired success. I don’t feel the need to isolate yourself from the rest of the world. Civil services preparation does not demand that either. It expects the aspirants to be a part of the society so as to understand it better from a closer perspective. The UPSC exam wants you to interact with all types of people to know their problems and ways to resolve them. As a civil servant you are going to be an agent of change in society, and it absolutely does not help isolating yourself from them. What needs to be understood is that you isolate yourself from the distractions in society not the society per se. You should keep your focus by engaging in activities and interacting with people who strengthens your purpose. You should avoid being part of social gossips. There is no need to comment on every issue on social media and you can avoid being highly active on Facebook & Instagram. This way, you can strike a fine balance between social life and preparation. Interact with friends, relatives and loved ones. Don’t ignore the people who matters to you just because you are preparing for an exam. Obviously, you can minimize interaction as IAS exam approaches but indeed they would play a crucial role in this journey.